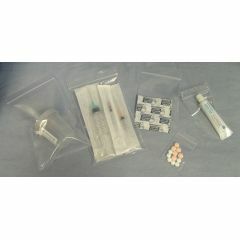 Biohazard Bags 25" x 35"
AllegroMedical.com presents The Medi-Pak Zip Closure Bag. 2-Mil Thickness. Clear Polyethylene. Not made with natural rubber latex. Packaged: 100 Per Bag, 10 Bags Per Case.